Discussion in 'Music Corner' started by pauluz, Apr 14, 2019. Top contenders would be REM and Woodstock mono. The REM release is getting hit all over the place in these forums for it's poor sound quality, although it shouldn't have come as a surprise. Then there is Woodstock mono. I took a gamble on this one and regret it. Ok, Ritchie Havens sounds good and John Sebastion too (not brilliant but good) , but Canned Heat is appalling. Grim! The sound is unbelievably muffled. I have yet to listen to the rest of the album as I couldn't bear it. Expensive mistake. The label on the cover gave somewhat of a warning but what I heard was criminal. Is this the best we can expect for a 50th anniversary release. If you think any other RSD releases deserve a big thumbs down then please post. J_D__ and DK Pete like this. The Stones' Through The Past Darkly (which I actually created a whole thread to). I am so incredibly let down by this because it seems that ABKCO, as of late, is cutting corners big time in terms of quality Lp pressing. I try to be as supportive as possible when it comes to my local indie record shops hence, I'm not even going to attempt to return it (these little stores look to make a dollar or two from the hopeful boost of RSD, not lose money). Shame on ABKCO and any other company which puts out inferior product (in any capacity) especially for RSD where there's positive excitement buildup on numerous levels. vinyl diehard and pauluz like this. Alan2 and MYKE like this. Your copy was scratched — that’s certainly disappointing. That doesn’t make it a “disappointing release”, though. SpinningInfinity, rjstauber, Mr.Sean and 24 others like this. I was so excited for the Woodstock release. It is hard to express what it is till you hear it. A reconstruction of the original album, all the same performances (despite mistaken advance hype) from three different vintage mono sources: mono soundboards, mono rough mixes and the promo mono folddown. On some tracks, the original edits are replicated, on others, ignored. The onstage reprise of Fixin-To-Die Rag is pointlessly included, the stage announcements on the same side pointlessly truncated. Then the intro to the (still Fillmore) Sea Of Madness is gone. Why? Who thought this up? At no stage in this did someone realize they were cooking hot garbage to sell to loyal record fans at a high price? It is really a bizarre endeavor that would seem to please no one, the type of release that gives RSD a bad name. They should have just released the promo folddown. Also pointless but at least a listenable historical artifact. The mix on Going Up The Country included here is an insult. Stonegarden71, Mr.Sean, Christopher B and 7 others like this. I’m listening to Richie Havens now on the original stereo LP, and it’s like it’s being at the festival! Christopher B, Derek Slazenger, ElevateMeLater and 6 others like this. Larry L and GentleSenator like this. Disappointing that it's on one LP. The standard 11 tracker runs 58:51, with the included 12'th track it's really pushing the limits. jeffrey walsh and vonwegen like this. Just wish more of the Peter Gabriel Rated PG’s had been produced and released. Why would I want to hear Woodstock in mono? I'm sorry it doesn't sound good... but somebody help me understand why one would think a live recording that was played in stereo might be desirable in mono? scottabs, Stonegarden71, djoseph56 and 25 others like this. The PG is simply a RSD first. It’s called dodging a picture disc bullet. Mr.Sean, spencer1, groovelocked and 4 others like this. Why would I want to hear Woodstock in mono? I'm sorry it doesn't sound good... but somebody help me understand why one would think a live recording that was played in stereo might be desirable in mono?. 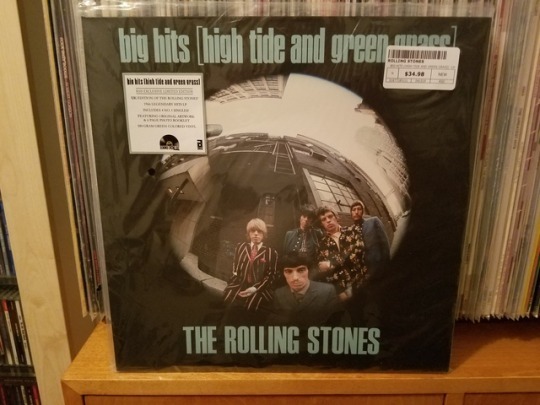 The RSD copy for this release says that some of it (doesn't say how much) was sourced from the "ultra rare promotional mono mix".....which, like many other Atlantic promo mono's from the time, was a fold-down. So they're selling something of pretty dubious worth. Was there a dedicated mono mix of any of this? andrewskyDE, Louise Boat, Mccook and 1 other person like this. Exactly what I was thinking. All the fascination with mono - I have never really understood it. Now if the mono mix is significantly different - then I can see the reason. But if it is just the mono of the stereo version - I'll pass. Mr.Sean, thematinggame, Jimmy Agates and 1 other person like this. Okay, well there's a reasonable complaint then. Having a scratched record says nothing about the merits of the release. Mr.Sean, violetvinyl, Louise Boat and 3 others like this. Very disappointed in the sound quality. I have the original mono's and they sound much better then this new pressing. I wonder if the mono box set is the same mastering as this one. Louise Boat, uzn007, chaz and 2 others like this. Nominating the Chic "Le Freak" extended mix for worst of RSD. The original recording I love along with any "12/extended versions/Dimitri From Paris remixes...but this one is, in my opinion, a useless modern dance remix that I have no interest in whatsoever. Thankful I didn't open it before hearing the track online - phew! The problem with the Woodstock is not that it is in mono. There are plenty of incredible mono mixes with gorgeous soundstages and depth of field that one can find. It is that these particular sources of these performances sound horrible and have been dubiously edited into one of the ugliest sonic Frankenstein creations I have ever come across . DTK, Louise Boat, MPLRecords and 3 others like this. Because it's RSD and people will buy any sort of junk as long it's sold on a special day and in a limited release. Dax52, wiseblood, thematinggame and 17 others like this. I had the Woodstock album in my hand, but I put it down because of the high price. Whew! So glad I did from what I've read. Christopher B, TheVU, tinnox and 1 other person like this. What exactly is the point of post-67 mono? andrewskyDE and baconbadge like this. It was the PA mix from the festival. Unfortunately, according to those who've bought it, it sounds quite bad. The original album was in stereo. Lytham St Annes, Lancs, UK. Wow, if I was a surviving artist or family member listening to it, I would be mightily peeved off to be represented in such fashion. I almost went for this one too....as you rightly say, releases like this don't help the RSD cause. The hype on the RSD page proclaims "this is exactly what you would have heard coming out of the loudspeakers!". Christopher B and pseudopod like this.